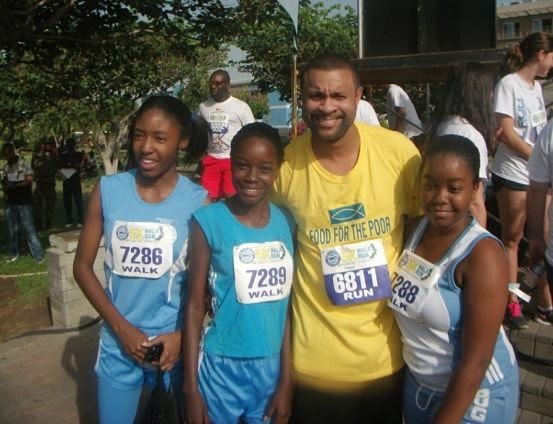 Jamaican celebrities love to endorse a worthy cause. 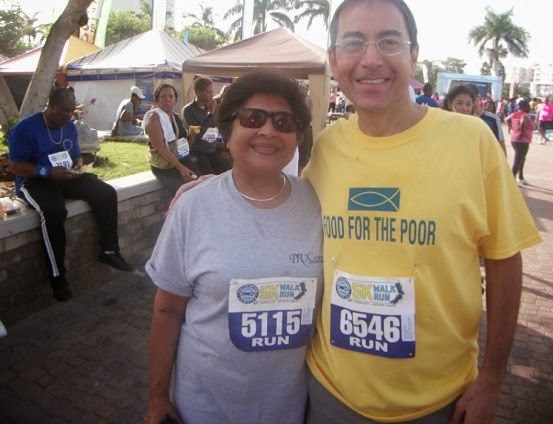 The famous faces were out in their numbers Saturday morning at the Emancipation Park to support Food for the Poor's inaugural 5K Run/Walk, where it was announced that some 56 new homes will be constructed by the humanitarian agency this year to benefit needy Jamaican families ― to the tune of $46.5 million. 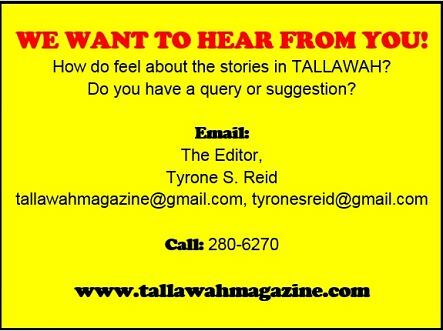 Here, TALLAWAH highlights a few of the popular personalities who stepped out in New Kingston for the early-morning event. THE BRIGHT SIDE: Well-known for the philanthropic efforts of his own Shaggy & Friends Foundation, which regularly raises funds for the Bustamante Children's Hospital, the music megastar, an ambassador for Food For the Poor, posed for pictures with his fans. 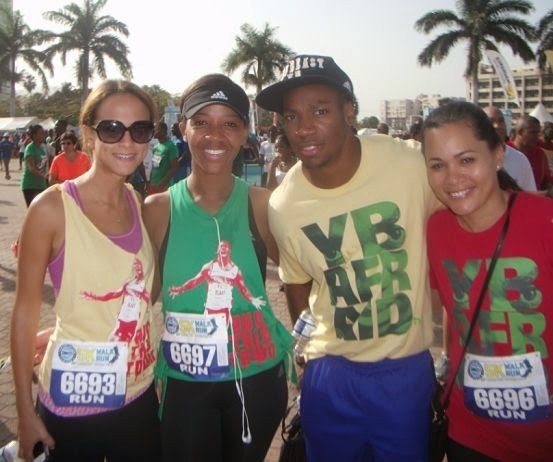 POINT BLAKE: No doubt anticipating an intense track-and-field season leading up to this summer's big championships, Yohan Blake put in an appearance, alongside his YBAfraid Foundation ladies Mellisa McIntosh, Angelie Spencer and LeeAnn Gomes. According to McIntosh (right), the foundation is about to break ground for a new multi-sport complex for the wards of the Pringle Home in St. Mary. IN THE FRAME: GraceKennedy Chairman Douglas Orane was also there endorsing the initiative. 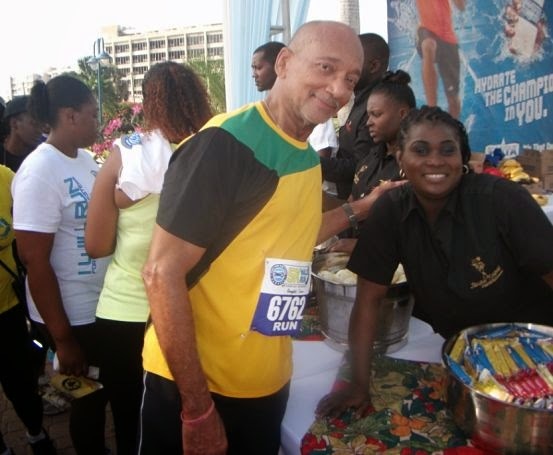 He shared a fun moment with chef Trufena Walters, who dished up some delectable Jamaican fare inside the Jacqui Tyson Caterers tent. 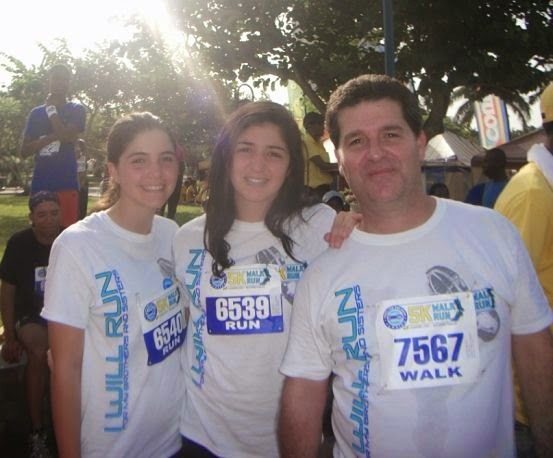 FOR MY DAUGHTERS: PSOJ President William Mahfood also made the scene, bringing along his two gorgeous girls Mia and Mary. DYNAMIC DUO: Breaking from their official duties, Food for the Poor board members Jean Lowrie-Chin and Andrew Mahfood shared lens time. "It's our mandate to give the less fortunate a sustainable new start to life," Mahfood later told TALLAWAH. 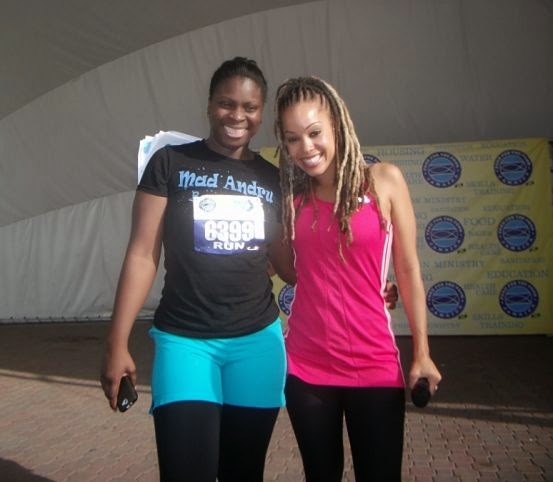 IN GREAT SHAPE: Fitness maven Kamila McDonald (right), pictured here with Dena-Kay Edmund of Mad Andru Boot Camp, brought much spark and elan to her emceeing duties. 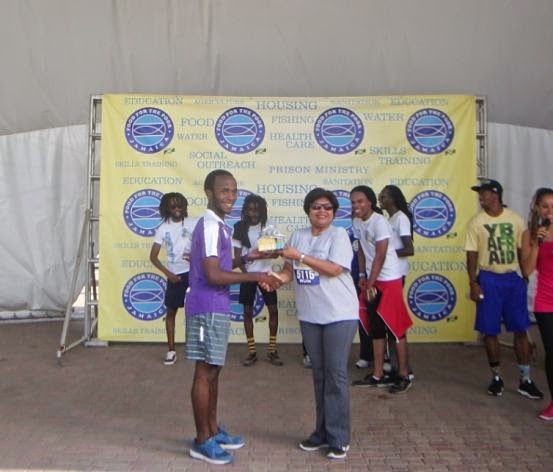 BORN TO RUN: Emerging among the 5K's top-five finishers was a matter of 'survival of the fittest', and Shane Buchanan of Kingston College seemed to have little difficulty outshining the field. Among his first-place prizes was an exquisitely designed trophy presented by Lowrie-Chin.